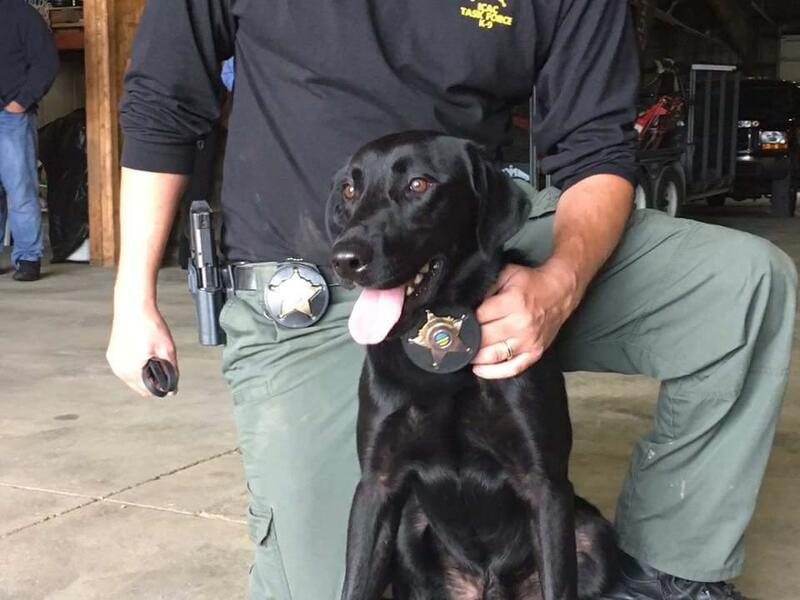 Ruger is the newest member of the Franklin County Sheriff's Department. He sniffs out smart phones, SD cards and more. Ruger, the electronic-detection K9, is getting his feet wet as the newest member of the Franklin County, Ohio Sheriff's Department. When Ruger isn't looking for evidence police say he is very quiet and doesn't bark. The eighteen-month old black Labrador Retriever is one of just two dozen dogs nationwide that can sniff out smart phones, tablets, SD cards and flash drives. In Franklin County he's on the Internet Crimes Against Children Task Force (ICAC) where Sheriff Zach Scott says criminals are pretty good at hiding evidence. His detectives have found SD cards in cigarette lighters. 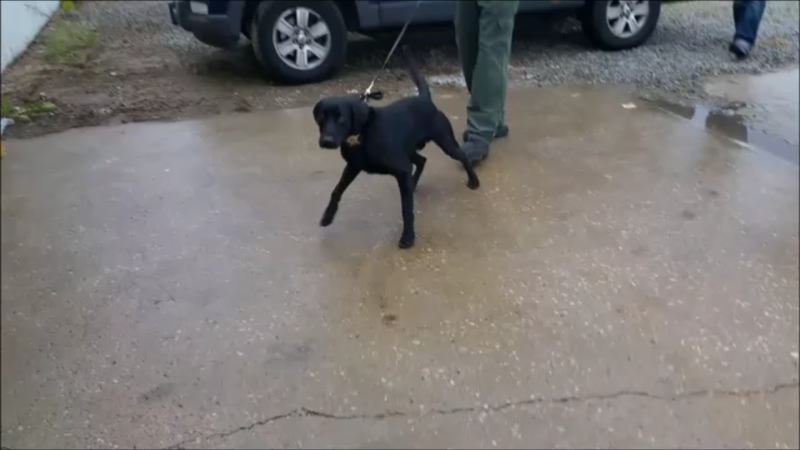 Here is Ruger at work thanks to this video from the U.S. Department of Homeland Security and Customs. Why are dogs so good at sniffing out things like cancer, explosives, bed bugs and more? Alexandra Horowitz, in her book Being a Dog, says dogs sniff differently and exhale differently. "Researchers looking at the fluid dynamics found dogs exhale through the side slits of their nose, allowing the odors they have inhaled to stay in there a little longer... it also creates a little puff of air on the ground that might allow more odor molecules to come up toward their nose to be sniffed." Horowitz was interviewed on Fresh Air October 4, 2016 and told host Terry Gross dogs have essentially a "second nose" under their regular nose. "They have a vomeronasal organ (VNO) which is a small sack above the roof of the mouth under the nose which allows them to detect other chemicals, especially things like pheromones and other hormones which are water soluble which don't evaporate in the air and so that allows them like other animals with the vomeronasal organ to detect hormones on other species." In addition, they have a small sack above the roof of their mouth which allows them to detect other chemicals. Horowitz does her research at Barnard College in the Dog Cognition Lab. Portions of this story came from the above video provided by ICE.